In 2007 I wrote: "47 (now 50) is way too old to get any good at go. But I'll learn and enjoy it anyway. I did not play 19x19 until february 2003. I hope to grow 9 stones in an instant and be a DDK no more. ", not knowing that changes in my life changes made me spend so much time on other things that I hardly played go anymore until 3 weeks ago (Feb 2014). I started playing a little again, and found out that I had really missed playing. I intend to pickup where I left off. continued "Senseis is an important source to me. Sometimes when there is something I do not understand I get angry. Unlike with books (which I also like), here at senseis, thanks to Tim Berners-Lee this anger can transform into sensible texts for me and other novices because of (just to name a few) Charles, Bill, unkx80, Andre Engels, Hu, Floris, Blake, John F., Arno and Dieter. You really help me understand. Thank you." It seems that since 7 years a lot has changed at senseis library. I'll find out. After discovering the sound of a real stone on a real goban, however, I tend to play IRL mostly. I remembered that I kept a little journal on my go and SL experiences. Today (Feb 21, 2014) I learned something like a proverb: "Do not push into the keima. ", but I could't find it in the list of proverbs. Is it a proverb? Is it sound advice? - I'll try it and see what happens. The shoulder hit always hits from above. What about kata-tsuki? See also BQM75. Hane at the head, not at the feet. Top, not bottom. 手　te - move . 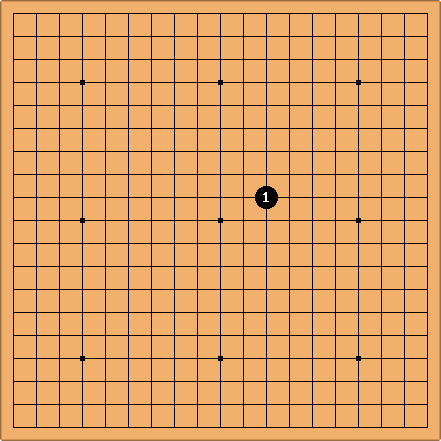 kyu (rank) = 级 and dan = 段.
DougRidgway: would it be possible to allow through hex character references as well as decimal? So that 断 works as well as 断? Seems like hex is popular for character references. SAS: There are browsers which understand numeric character references only if they are in decimal. So this is not a good idea unless the wiki software itself converts the hexadecimal to decimal, so that browsers never see it.